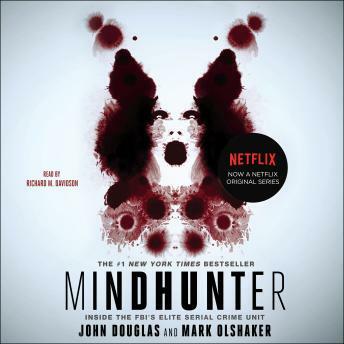 Listen to "Mindhunter: Inside the FBI's Elite Serial Crime Unit" on your iOS and Android device. ​BONUS MATERIAL INCLUDES AN EXCERPT FROM JOHN DOUGLAS AND MARK OLSHAKER’S OBSESSION! John douglas is a never ending fountain of knowledge and compassion and the narrator capture the essence of the book very well! J.douglas mix of teaching, grim tales and a tiny bit of humor makes this hard to put on pause cause i never want it to end!! Must read for any and all true crime fans. John Douglas is such a character, it took a minute for me to accept and understand him. I grew to like him, faults and all. I learned so much from this audiobook, and I had thought I knew it all. A fun and insightful listen.